How do polar vortexes, climate change, record storms, and extreme weather of all kinds play havoc on our ecosystems and all the species that live there? 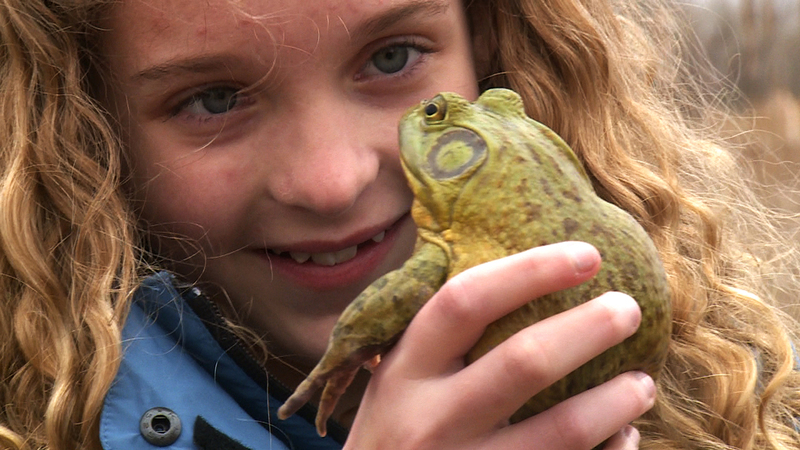 Want to develop your understanding of animal adaptations even more? 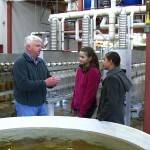 Ask your teacher to download the middle school discussion guide for your class as you watch the four videos. The discussion guide will help you practice what you learned in the videos by working in small groups to help each other come up with different animal adaptations. Want to get out of the classroom? 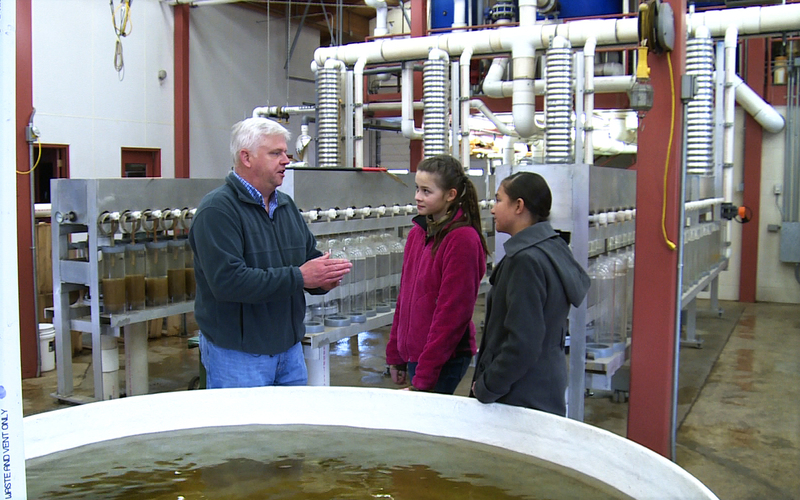 Find out more about the Lac du Flambeau tribe by going on a field trip. Details and additional lesson ideas are contained within the discussion guide. 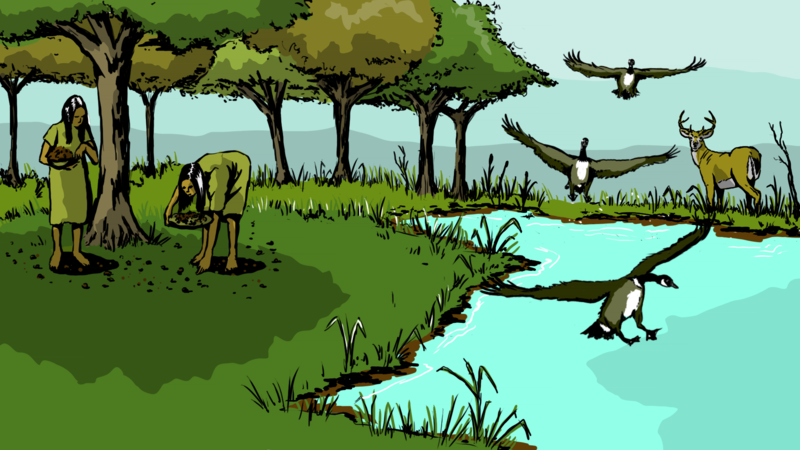 While some species thrive, like record hordes of mosquitoes, others like the loons or whooping cranes struggle to raise their broods when assaulted by record hatches of blood-sucking blackflies. 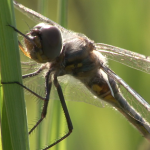 Even though species have had to adapt to various stages of climate change such as glacial advances across the Midwest over the past 2.3 million years, it’s little consolation to some species enduring extreme changes each year that affect their chances of survival. And even with our modern technology, us humans must also develop new strategies to confront the challenges of surviving in the face of record snows, rains, and temperature extremes. While considering this fact, imagine what it must have been like historically for Native Americans. So all this raises the question, “How do the species that live out in the wild survive these extreme conditions?” The answer is all about extreme survival strategies that different species have evolved over tens of thousands of years. Some strategies are similar between species while others are extremely different. 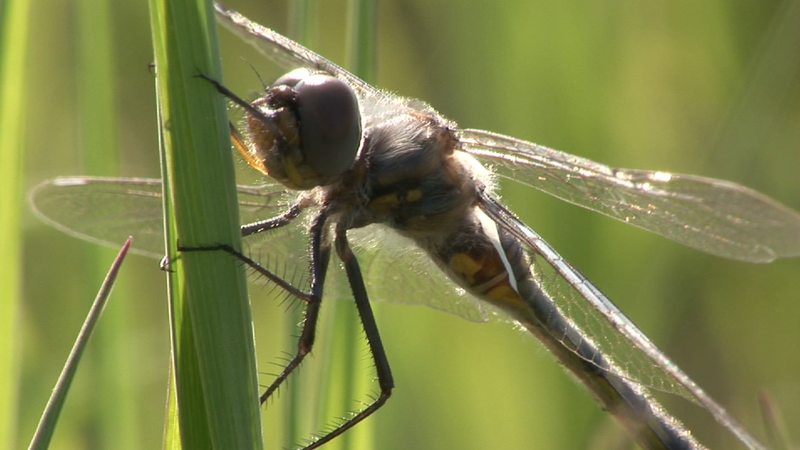 To discover how many species use their unique survival strategies, watch the four segments of this exciting episode. 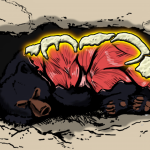 You might even learn that you’re not supposed to mess with hibernating bears in their den as they can easily wake up and defend themselves. 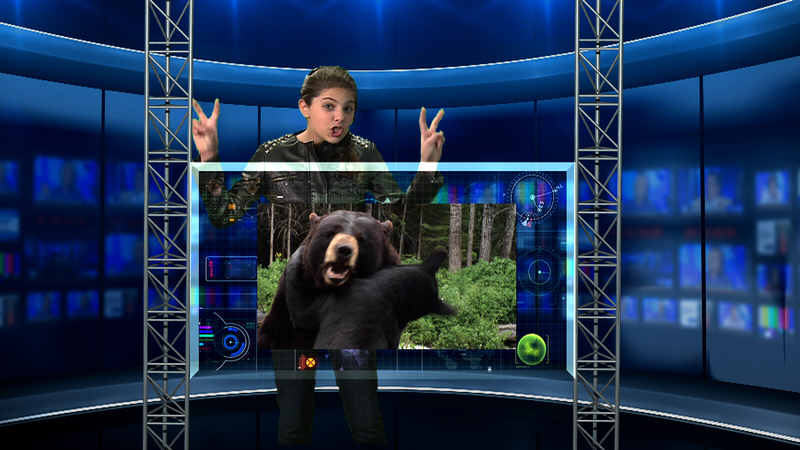 And for gosh sakes, don’t run from that bear! To take this survival strategy learning to a whole new level, have your teacher download the free discussion guide so your entire classroom can participate while learning a few survival tricks from Mother Nature. If you’re an elementary or high school student, download the additional lessons we have provided to use with the discussion guide! Take birds for instance. Many winged wonders avoid being frozen here during the long winter without adequate food by using their wings and their built-in navigation for the survival strategy of long distance migration. Each fall, millions of waterfowl take flight to skies and travel hundreds and even thousands of miles so they can spend winters in warmer climates and environments. Some are able to fly over 50 miles per hour and with the right wind, have been known to fly 800 miles during a single 8-hour flight. Scientists have discovered that they use landmarks, the earth’s magnetic field, and even an optical solar compass at night to help them navigate during migrations. 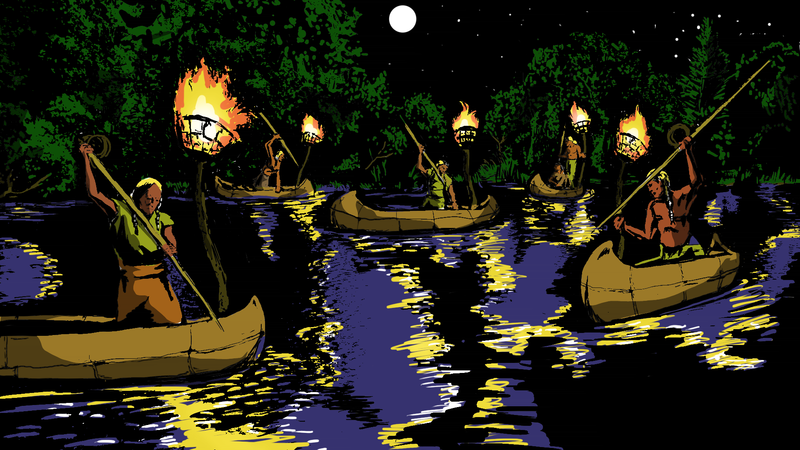 Imagine navigating a thousand miles on instinct? But what about all the species that can’t migrate? It makes you wonder how in the world Native American’s historically survived in extreme conditions. 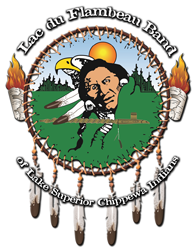 The Lac du Flambeau band of the Lake Superior Chippewa Indians survived in Northern Wisconsin for hundreds of years using both regional navigation and local migration as part of their subsistence lifestyle. Seasonally, it begins with the first signs of spring when the maple trees start producing sweet sap that the tribe would harvest and boil down into Maple sugar. 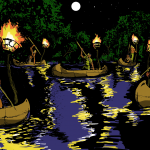 The tribe acquired the name “Lac du Flambeau” from early French traders who saw their practice of harvesting fish at night by torchlight – and described it as the “lake of torches”. 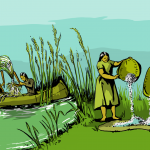 When fishing by torchlight ended, the tribe moved to the marshes in early fall to harvest wild rice – one of the valuable food sources in their diet. 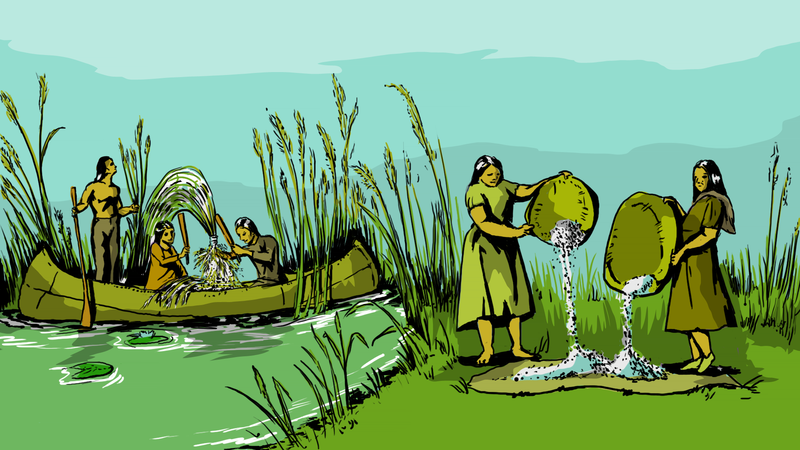 Gathering wild rice is a tradition and heritage that’s still practiced today. Fall was also a time to harvest migrating waterfowl and deer as the tribe “migrated” between the most available and seasonal changing food sources within the region. The historic record shows that gathering fruits, acorns, other wild nuts and ice fishing helped supplement their diet that would carry them through the harsh winter. Some species use torpor as a survival strategy when food isn’t available, such as hibernators. 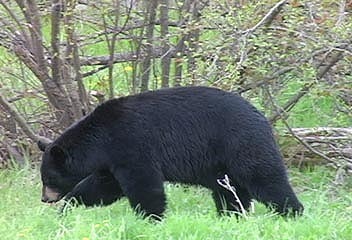 Black bears are classified as super hibernators. So what’s the black bear’s secret to surviving for 5 to 6 months without eating or going to the bathroom? Unlike chipmunks and ground squirrels, black bears don’t stash food supplies, and they also don’t enter a deep-sleep state of torpor. They can easily wake up. Also, their core body temperature stays about their normal 100 degrees. Now here’s the cool part. During those long months of hibernation, bears don’t drink, eat, defecate, or urinate. Try doing that just for a day, let alone for 6 months! What’s their secret? It’s fat! To prepare for hibernation, bears gorge on food in the fall. This massive eating is called hyperphagia, and builds their reserves of brown and white fat. White fat insulates the body and is metabolized to fuel their body. Bears convert the chemical energy in their brown fat into heat to keep them warm. 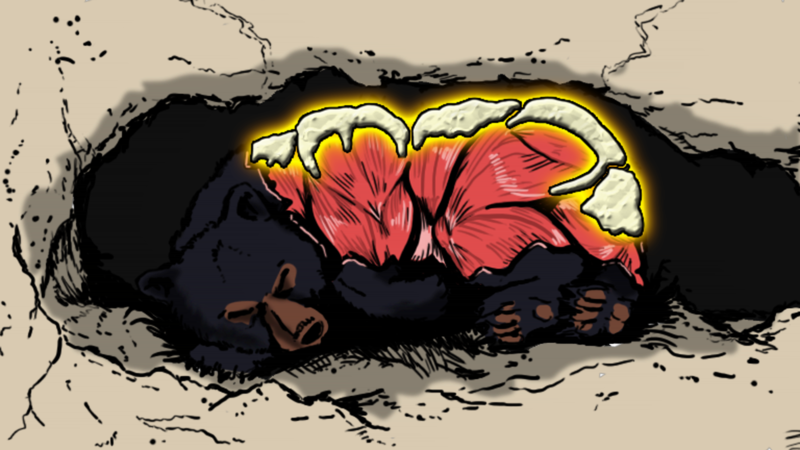 While hibernating, black bears recycle the nitrogen in their urine to build new proteins. 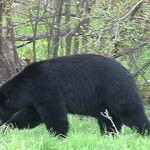 Black bears can lose up to 45% of their body weight during hibernation, mostly from fat. Other species also use various states of torpor to survive. 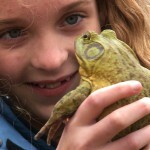 To discover their secrets to survival, watch the four video segments here about bumblebees, chipmunks, frogs, and salamanders. And don’t miss the section about how extreme weather impacts various fish species whose spawning cycle is tied to weather conditions. As you’ve discovered, every species in the ecosystem, from humans to bumblebees, each have their own unique set of survival strategies. And even though most species can survive extremes in climate change on their own, some depend on us humans to do what’s right so they have a healthy environment to live their life cycles in the Outdoors. • Some migrating waterfowl are able to fly over 50 miles per hour and with the right wind, have been known to fly 800 miles during a single 8-hour flight.